A recent trip up Washington State’s Mount Rainier brought home to me how rapidly things are changing, even in the high country. I first climbed the mountain in 1994, when the main route was a picturesque climb up smooth glaciers. Most of the time crevasses weren’t even visible, and snow cover was abundant. But anthropogenic climate disruption (ACD) has been speeding up with each passing year, and in the same area 22 years later, I found large portions of it nearly unrecognizable. We took a somewhat different route than the one I’d climbed in 1994, primarily because the lower portion of that route is now unusable, as the glacier it traversed is so broken up and crevassed as to make it impassable. It being early season (most of the guide services had yet to begin taking clients up the mountain), I expected much heavier snow cover and the snow bridges over crevasses to be in decent shape. That wasn’t the case. After gingerly stepping our way over several sketchy snow bridges, I was grateful we weren’t on the 14,411-foot-high northwestern volcano any later in the season than we were. Thankfully, we were able to summit and get back down without incident. Less than a year and a half earlier, in December 2014, Nature World News reported that ACD was melting Rainier’s glaciers at “unprecedented” rates (six times the historic speed). And things have only sped up since then, both in terms of hotter temperatures as well as loss of ice on the Pacific Northwest iconic mountain. To give you an idea of how rapidly ACD is occurring, one of the most striking infographics I’ve ever seen on the rapidity with which the global temperature is increasing can be viewed here. Make sure you watch it; it only takes a moment. In particular, the way this is playing out in the Arctic is horrifying. An Arctic without summer sea ice could happen as early as this September, a turn of events that would have serious implications for global climate patterns. The decline in Arctic sea ice extent, area and volume is in the midst of a deep dive more severe than those that occurred in 2007 and 2012. The loss of sea ice is even outpacing the worst-case modeling predictions. It’s worth noting that less than 10 years ago, scientists believed that an Arctic free of summer sea ice was not something that would happen until at least 2100. When we look at the amount of human-generated carbon dioxide in the atmosphere, it too is only continuing to increase. 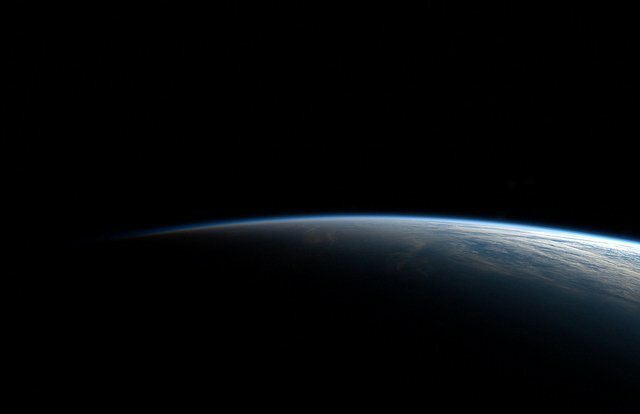 Global atmospheric carbon dioxide concentration first crossed over the 400 parts per million threshold in 2013, but now, scientists are speculating that we may have entered an era when the global concentration remains permanently over that mark — an event some scientists are seeing as a point of no return. And with the amount of atmospheric carbon dioxide increasing, temperatures are increasing right alongside it, and with higher temperatures comes a lowering of the oxygen content of most of the global oceans before 2040. Yes, that is as scary as it sounds. According to a recent press release from theNational Center for Atmospheric Research, a reduction in the amount of dissolved oxygen in the oceans due to ACD is already happening, and will become widespread before 2040. Loss of oxygen in the ocean is one of the serious side effects of a warming atmosphere, and a major threat to marine life. Since oxygen concentrations in the ocean naturally vary depending on variations in winds and temperature at the surface, it’s been challenging to attribute any deoxygenation to climate change. This new study tells us when we can expect the impact from climate change to overwhelm the natural variability. The press release added, “Scientists know that a warming climate can be expected to gradually sap the ocean of oxygen.” This is literally making it harder for fish to breathe, as well as exacerbating the effects of ACD and ocean acidification. Facts like these are why, according to a report recently published in the UK, a person may be five times as likely to die in an extinction event than in a car crash. On multiple levels, this is extremely difficult information to take in: emotionally, intellectually, psychologically, spiritually. But this is the world we live in today, and we need an accurate understanding of what is happening in order to make informed, and better choices for how we are to live our lives. It is in the spirit of providing the most updated, accurate information available that this dispatch is written. Read on, sit with the information and then use it as a mirror for your life. A report by Lloyd’s of London sees the single greatest threat to civilization over the next four decades as ACD-amplified extreme floods and droughts that impact multiple global grain-producing “breadbaskets” simultaneously. Hence, the “Food System Shock” report warns that when this occurs, mass rioting, civil war, terrorist attacks and mass starvation are likely to happen. The impacts of ACD on various species continue to make themselves known. A cascade effect of ACD impacting weather, insect availability and other food sources is taking a serious toll on birds like the red knot, which is seeing its populations decline as the birds’ body mass shrinks, according to a recently published study. The report shows how, in the case of the red knot, the consequences of ACD are only being seen at a distance, which is another important concept for us to get our minds around as the crisis unfolds on multiple levels. On that note, a recently released report by the North American Bird Conservation Initiative shows that one-third of all North American bird species are at risk of going extinct, and ACD is one of the drivers of the catastrophic bird loss. As usual, the majority of the most dramatically obvious impacts of ACD are in this sector of the dispatch. The World Bank issued a new report warning that global water shortages will deal a “severe hit” to economies across the Middle East, North Africa, and Central and South Asia as ACD progresses. The report warned that by 2050 growing demand for water from both cities and agriculture will cause dramatic water shortages in regions where it is currently in abundance, in addition to worsening shortages that already exist. This will, according to the World Bank, generate broad amounts of conflict and human migration across the regions cited. Another report from the World Bank shows that, conversely, by 2050 there will be 1.3 billion people, along with $158 trillion in assets, put at risk from flooding and sea level rise alone. The twin factors of ACD and urbanization are the culprits, and the report warns that increasingly intense extreme weather disasters will continue to make matters worse as well. Meanwhile, in the Micronesian island nation of Palau, the famous UNESCO World Heritage site of Jellyfish Lake is losing its namesake. Severe drought and increasingly hot temperatures are causing the unique non-stinging jellyfish to vanish, and possibly not return. Sea level rise is continuing at abrupt rates. A study in the journal Environmental Research Letters linked ACD-caused sea level rise, along with wave action, to the Pacific Ocean swallowing several villages and five of the Solomon Islands. More and more studies are showing the likelihood of far higher sea level increases than previously projected, as the rapid pace of melting of both the Antarctic and Greenland icecaps increases. The studies show that abrupt sea level rise is an increasingly realistic threat, with sea levels estimated to rise by six feet within this century, and far higher in the next — flooding out many of the world’s heavily populated coastal areas and cities. As if to underscore that point, a study recently released by the UK-based charity Christian Aid projected over 1 billion people at risk from coastal flooding by 2060, with the populations of China, India and the United States being the most heavily impacted. Again, ACD and overpopulation are cited as the prime drivers of the crisis. Recent images of the unprecedented coral bleaching event that is signaling the demise of Australia’s Great Barrier Reef reveal the complete destruction of coral colonies that are large enough to fill an area the size of Scotland. Recent findings by leading ACD researchers and coral reef scientists show that the exceedingly warm water temperatures that drove the bleaching event at the Great Barrier Reef were made 175 times more likely by ACD, and could well become the “normal” water temperature with permanent bleaching there within the next 18 years. Meanwhile, India is experiencing dramatic coral bleaching events as well. Rohan Arthur, the scientist who heads the coral reef program at the Nature Conservation Foundation based in India, has been studying the coral reefs and documenting the bleaching. Arthur described India’s widespread coral bleaching as “heart wrenching,” and expects it to continue to worsen. In Florida, it’s not warm waters that are destroying coral. Instead, acidification is causing that state’s coral to disintegrate faster than had been predicted, and a recent report shows that this trend will only accelerate as ocean acidification progresses, with the world’s oceans continuing to rapidly absorb carbon dioxide. Positive feedback loops have been wreaking havoc in the Arctic as well. Arctic Ocean acidification is being sped up by erosion and river runoff in Siberia. As the permafrost is thawing there, coastlines across Russia are falling into the ocean, along with rivers dumping massive amounts of carbon into the ocean, which is all combining to ramp up the acidification, which is bad news for all things living in the once-pristine waters of the Arctic. In Austria, the glaciers are melting so fast, they have retreated an average of 72 feet during last year alone, which is more than twice the rate of the previous year,according to a recent survey. In the Antarctic, the news of more melting continues. In eastern Antarctica, where the vast majority of the ice volume resides — an area once believed to be largely free of the impacts of ACD — the Nansen Ice Shelf has produced an iceberg 20 kilometers long. A giant crack in the shelf that has existed since 1999 expanded dramatically in 2014, and that trend continued into this year, when melting on the surface and from the warming seas below the shelf caused an area larger than the area of Manhattan to release out into the ocean. On the other side of that continent, the Antarctic Peninsula saw an incredible new record high temperature of 17 degrees Celsius last year. This, coupled with the ongoing ramping up of the melting of the ice shelves, is having global implications already, including sea level rise, and impacts on global weather patterns. Extreme drought across the world continues. In California, Gov. Jerry Brown has deemed that state’s water conservation efforts permanent, a sign of resignation to the fact that the state’s drought is now being considered ongoing, without an end in sight. Ninety percent of California remains in drought, and summer is just beginning. As if to underscore that point, Lake Mead, the largest US reservoir, broke a record in May by declining to its lowest level ever recorded. In Zimbabwe, the UN Development Programme announced recently that 4.5 million people, which is at least half of the country’s total rural population, will need food and water aid by next March, as an extreme drought persists with no end in sight. Summer had barely found its stride when residents of Fort McMurray in Alberta, Canada, became part of the historical record: Their town saw the single largest fire evacuation event in Alberta’s history. More than 80,000 residents of the tar sands oil town fled massive wildfires, in what couldn’t be a more obvious sign from the planet that engaging in the most environmentally destructive method of fossil fuel extraction might not be the best idea. Things settled down a bit after the winds shifted and the fires subsided — until the winds shifted again and the fires returned, forcing yet more evacuations as people again did not get the earth’s memo. So far this year, 22 times more land has burned than burned in the same period last year, and that year was one of the worst fire seasons in Canada’s history. Meanwhile, Canadian Prime Minister Justin Trudeau, along with the rest of the country’s mainstream media, have opted not to mention ACD when discussing the wildfires that threaten their earth-destroying cash cow, the tar sands. Meanwhile, a recently published study shows what we are already seeing — that warming temperatures in the northern latitudes are spurring more fires across Alaska, which in turn cause increasingly warming temperatures … hence, yet another runaway feedback loop is unveiled. Out-of-control wildfires raged across the Russian-Chinese border, as well as nearby Lake Baikal, according to The Siberian Times, resulting in more ACD refugees. As mentioned in the introduction of this dispatch, heat records around the world continue to be set at a breakneck pace, including the overall record heat increases for the entire planet. More specifically, Southwest Asia and India recently saw historic heat waves that have brought more than 150 deaths. Cambodia and Laos each set record highs for any day of the year during April. Cambodia saw 108.7 degrees Fahrenheit on April 15, and on April 26, Thailand set a record for national energy consumption (air conditioning), according to The Associated Press. India went on to break its heat record in May, when the city of Rajasthan saw 51 degrees Celsius (123.8 degrees Fahrenheit), as the heat wave besetting northern India persists, as temperatures have exceeded 40 degrees Celsius for several weeks in a row now. Looking to the north, the Russian Hydrometeorological Center recently reported that since May 2015, every single month has been the warmest in Russia’s history. By way of example, in March, the temperature deviation on islands in the Barents Sea was a staggering 12 degrees Celsius. In Alaska, despite it being very early in the summer, heat records are breaking by the dozens. Recent statements from the National Weather Service reported that the towns of McGrath and Delta Junction in the interior of the state hit a high of 78 degrees and a low of 49 degrees, respectively, beating the previous records set in 2005 and 1988 for each. Fairbanks set a new high temperature record of 82, which shattered a century-old record of 80 degrees set in 1915. The largest city in Alaska, Anchorage, set a record of 72 degrees, a stunning seven degrees above the previous high that was set in 2014, while Juneau and Bethel, set new heat records. Even Barrow, in the far north, saw 42 degrees recently, breaking the previous heat record by four degrees. Given that Anchorage has already seen the second-largest number of record high temperatures for any year and there is still 63 percent of the year left, 2016 will certainly break the previous record of high temperatures seen, which was set in 2003. In Africa, the heat continues to be unrelenting, and that trend is expected to not only continue, but increase, according to a study recently published in the journal Environmental Research Letters. According to the study, by 2100, heat waves on that continent will be hotter, last longer and occur with much greater frequency. Never a dull moment on the ACD denial front, especially with Donald Trump dominating headlines in the United States, and the corporate media giving him all the coverage he could possibly hope for. Trump, who could very well become the next US president, recently named ACD “skeptic” Rep. Kevin Cramer (R-North Dakota) as his energy adviser. Cramer is one of the leading oil and gas drilling advocates in the US, and North Dakota has been one of the states on the front lines of the US shale oil and gas boom. Over in the UK, a group of the most eminent scientists there recently criticized The Times of London newspaper for its “distorted coverage” of ACD, along with the “poor quality” of its journalism around human-caused climate disruption. Media misrepresentation has been a major culprit for much of the public unawareness and misunderstanding of ACD. Back in the US, on the reality front, Kevin Faulconer, the Republican mayor of San Diego, is pushing forward with a plan to run the city completely on renewable energy by 2035. Another hopeful note: Recent polling shows that now half of all conservatives in the United States believe that ACD is real, which is an increase of 19 percent over the last two years. Exxon, now targeted by a campaign aimed at making the oil giant pay for ACD, isworking overtime to blunt the attack. Exxon is sending executives and lobbyists to meet with state representatives in an effort to mitigate what could be extreme economic losses for the company if the campaign continues to be as successful as it has been thus far. The campaign against Exxon is now deeply tied to the overall campaign to pressure universities and businesses to divest from fossil fuel companies, which has been incredibly successful and is becoming more so by the week. Lastly, in a story that has not gotten anywhere near the coverage it deserves, the US government has been actively resettling its first official ACD “climate refugees.” A large grant of federal money was given to Louisiana’s community of Isle de Jean Charles, where the people have been struggling (and losing) against rising seas, coastal erosion and increasingly violent storms. It is important to note this development, since well before 2100, there will be millions of people along US coastlines who will have to be resettled further inland as sea level rise only continues to speed up. Meanwhile, the National Oceanic and Atmospheric Administration’s latest inventory of greenhouse gas emissions provided the warning that methane and carbon dioxide emissions are “going completely in the wrong direction,” as the amounts being injected into the atmosphere continue to accelerate. Dahr Jamail, a Truthout staff reporter, is the author of The Will to Resist: Soldiers Who Refuse to Fight in Iraq and Afghanistan, (Haymarket Books, 2009), and Beyond the Green Zone: Dispatches From an Unembedded Journalist in Occupied Iraq, (Haymarket Books, 2007). Jamail reported from Iraq for more than a year, as well as from Lebanon, Syria, Jordan and Turkey over the last 10 years, and has won the Martha Gellhorn Award for Investigative Journalism, among other awards.